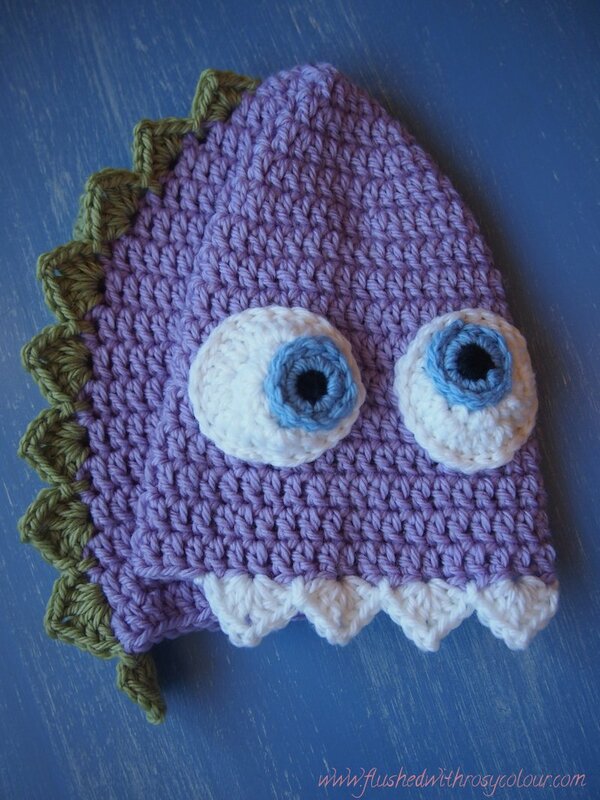 Here are the next three monster beanies I've completed for orders in my little online shop. Because each one of my monster beanies are unique, I won't be making any two the same, I have many options to make each one different. These ones have contrasting coloured tails! 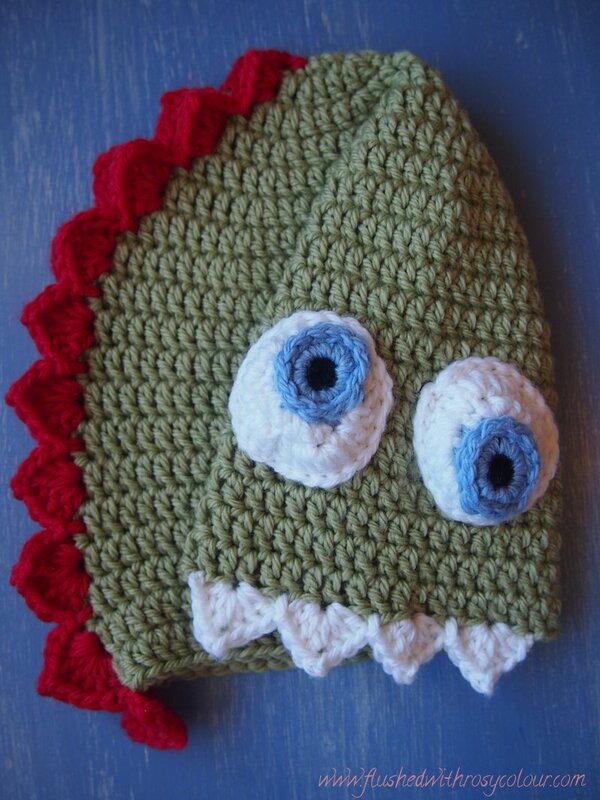 Maybe one day I will need to make monster beanies with a missing tooth, but we shall see if I ever make that many! When I had just finished the second eye of the child sized green monster beanie, I snipped a little too close and accidentally cut part of the yarn. After a close inspection I saw that the yarn was not completely severed, but with wear and washing this might unravel slightly. I'm not sure what it will do so I can not sell this beanie just in case it does unravel. I'll keep it for Thomas to wear when he's older, I think this size will fit 5 to 10 year olds. I still have two more orders for monster beanies, but they'd prefer colours I don't have at the moment, so I've ordered more wool. 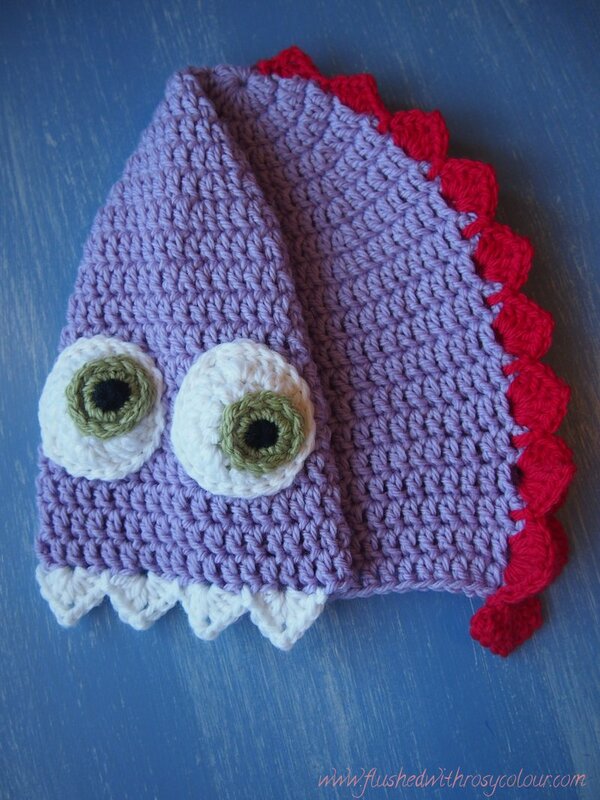 I also have a baby sized beanie that's started, but I'll wait until I get better choice for colours before I do the eyes. I've ordered two shades each of pink, purple, green and blue. I think these colours go really well together and I think this will make a nice colour scheme for my shop. The eyes are turning out to be quite fiddly, but the more I do the happier I am with them as I get better at it. My anxiety means that if any beanie is not perfect I'll worry that the customer will be very unhappy with me, so every beanie must be just perfect!